Twitter went into an absolute meltdown yesterday (31 Aug) when it appeared that Shawn Mendes' account was hacked and the hacker sent a tweet regarding Shawn's sexuality. The tweet in question said: "Guys, my sexuality shouldn't be anyone's bussiness. 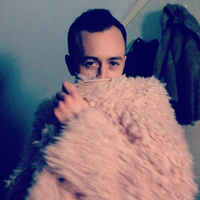 Yes, I'm gay and I'm proud." The tweet disappeared almost as quickly as it appeared, and fans soon realised that it was in fact a photoshopped tweet, not a hack. There were, of course, a few people who believed the tweet and expressed their support for Shawn with the #ShawnComingOut hashtag. 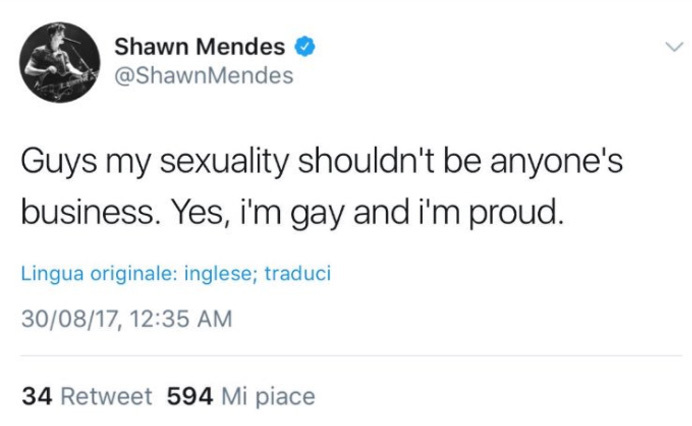 The internet has been somewhat obsessed with Shawn's sexuality for a long time. In fact, Shawn was forced to make a video addressing the constant rumours. “I don’t usually do this or bring up problems but I was on YouTube just watching some of my interviews and I was going down the comments and noticed a lot of people were saying I have them a ‘gay vibe’," he said. So there we are then. Case closed. Get back to work. Nothing to see here.